What happens when you need an eye exam, but you have no insurance coverage? You will have to pay for it out of pocket. While this is not a cheap expense, it is also not so costly that it is prohibitive. Besides, your vision is precious – so every cent spent on eye care is worth it! How must does an eye exam cost without insurance coverage? This amount varies from region to region and also between different eye doctors. A private eye doctor’s services generally cost more than a discount eye care center. However, you benefit from more personalized service. If you have a history of complex vision problems, you are likely better off visiting a private eye care specialist who will monitor and treat your case. Medical schools, optometry schools, and hospitals usually run eye care clinics where you can go for a discounted or free eye exam. These are typically good sources of low cost vision care. Is it OK to visit a discount retailer eye clinic? If you have no insurance, going to one of the large retailers that offer eye care and eyewear may be a good option. Walmart, Costco, and Sam’s Club all run their own eye care clinics staffed by a qualified doctor of optometry. Prices vary at these stores, depending upon location – but they are generally cheaper than private offices. However, they all employ professional optometrists to perform your eye exam and provide vision care, and they sell many popular brands of eyeglasses and contact lenses. Where can I buy discounted eyeglasses if I have no insurance? Your local major mall probably features an optical chain store. Check out their deals and ask which frames are on sale. There is usually a rack of discounted eyeglasses to look through. The large retailers also have a diverse optical collection, and their staff can show you suitable glasses frames that are on the lower end of the price scale. If you do not have medical insurance or a vision plan that covers eye care, taking care of your eyes can become costly. You will have to pay for your eye exams and eyewear out of pocket. Yet, even though this can be an expensive venture – the cost does not need to be prohibitive. Besides, your vision is valuable, so every penny spent on eye care is worth it! When it comes to eye exams, a number of affordable options exist for people with no insurance. 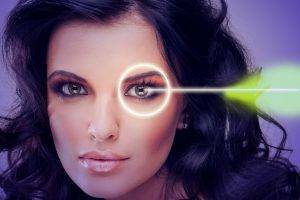 The price varies from region to region and between different eye doctors. Generally, a private eye doctor will charge more than a discount eye care center. Yet, with a private optometrist, you will also benefit from more personalized care. If you have a history of complicated vision problems, this may be essential for the lasting quality of your eyesight. Another low-cost alternative for eye exams when you have no insurance coverage is to visit an eye care clinic in a nearby hospital, optometry school, or medical school. All of these training institutes usually offer discounted or free vision care. Discount retailer eye clinics, such as Walmart, Costco, and Sam’s Club, staff their eye care clinics with qualified, professional optometrists. This makes them a good source for getting quality eye exams with no insurance coverage. Typically, these optical stores also offer lower prices on eyeglasses and contact lenses, although you need to be a smart shopper and compare prices to get the best deal. Other places to purchase discounted eyewear with no insurance include the optical chain stores found in local shopping malls. Check out their deals and ask the staff to show you which glasses frames are on sale. There is usually a rack of discounted eyeglasses to look through.